Intel B150 Express is a single-chipset design that supports 6th-generation Intel LGA1151 Core i7/i5/i3/Pentium and Celeron processors. B150 provides a maximum six USB 3.0 ports, six SATA 6Gbit/s ports and PCIe 3.0 lane speed support for faster data retrieval. Intel B150 Express also supports integrated-graphics (iGPU) functions, so you'll enjoy the very latest Intel integrated graphics performance. 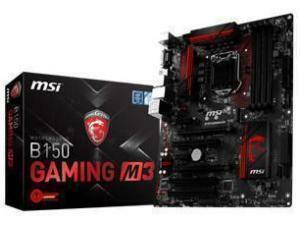 The motherboard supports up to 64GB DDR4 memory that features data transfer rates of 2133 MHz to meet the higher bandwidth requirements of the latest 3D graphics, multimedia and Internet applications. This motherboard is an ATX motherboard with the dimensions of 30.5cm x 24.4cm. It will fit in any case that supports motherboard sizes of ATX or higher such as a Mid Tower case or larger. M.2 supports up to 32Gbit/s data-transfer speeds. It is the perfect choice for an operating system drive, making your whole PC work that much faster. It supports Intel Rapid Storage Technology to ensure even faster access to data, refresh applications automatically and awake from sleep in just seconds! SATA Express provides up to 16Gbit/s data-transfer speeds resolving the higher bandwidth request in the near future. Current SSDs consume up to 550MB/s, which is close to saturation point for SATA 6Gbit/s connections. Backwardly compatible with up to two SATA drives, SATA Express is the next-generation connectivity standard — and ensures that you and your system won't get left behind. The new Killer E2400 Intelligent Networking Platform, featuring Advanced Stream Detect 2.0, is built for maximum networking performance for online games and high-quality streaming media. Killer LAN automatically detects and accelerates game traffic ahead of other network traffic for smoother, stutter-free in-game performance and the competitive edge. AMD CrossFireX is the ultimate multi-GPU performance gaming platform. Enabling game-dominating power, AMD CrossFireX technology enables two or more discrete graphics processors to work together to improve graphics performance. AMD CrossFireX technology allows you to expand your system’s graphics capabilities. 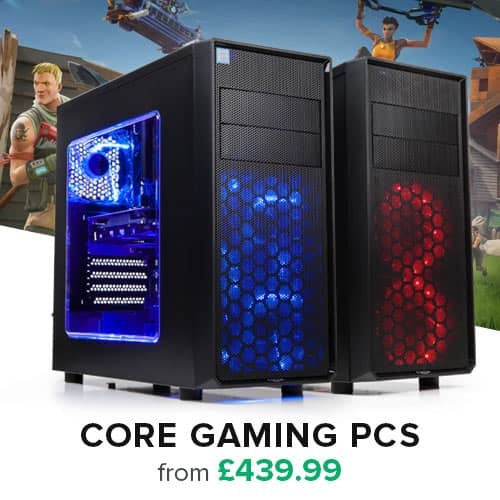 It allows you the ability to scale your system’s graphics horsepower as you need it, supporting up to four AMD Radeon HD graphics cards, making it the most scalable gaming platform ever. With an AMD CrossFireX gaming technology, the traditional graphics limitation exists no more, allowing you to enjoy higher performance as well as visual experience.